This was the week in which the Airbnb team announced a spooky new listing on the site – the next in Airbnb’s now famous ‘Night At’ series offers two brave souls the chance to spend this Halloween in Dracula’s castle in Transylvania. The lucky guests will arrive at the castle by horse-drawn carriage, only to be met by the great grand-nephew of Bram Stoker himself, Dacre Stoker. After a journey through the castle’s labyrinth of dark corridors, creepy nooks and squeaky staircases, the visitors will discover a secret passage leading them to the grand dining room. 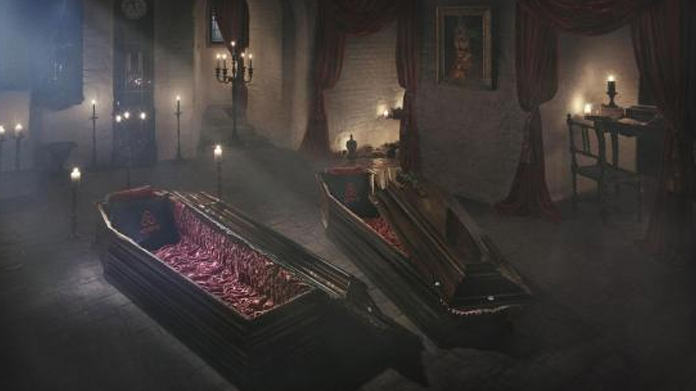 After an intimate candlelit dinner, guests will be left to sleep in luxurious velvet trimmed coffins in the seclusion of the count’s crypt. Unsurprisingly, the media were all over this spooky story, which generated print coverage in The Times, Daily Star, The Metro, The I, Evening Standard and the ACTUAL FRONT PAGE page of the Daily Telegraph. Online coverage on The Guardian, Daily Express and Daily Mirror wrapped up an almost complete sweep of the nationals. It was a hit with consumer lifestyle titles too, with the likes of Grazia, Stylist and Shortlist wanting a ‘bite’ of the action. Budding vampire-hunters can visit the site to apply and tell Airbnb what they would you say to the Count if they were to come face-to-fang with him in his own castle.